Nobody likes to waste money, so I'm never surprised when a home seller wants to know if we are a discount broker and are willing to reduce our fees for them. The performance bar in our industry is set very low, and the cost for our services is very high, so the allure of a reduced fee broker does not seem strange at all. 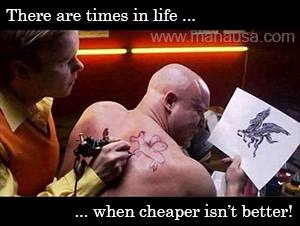 But there are times in life when cheaper isn't better, it is actually more expensive, and every day there are home sellers who learn this painful truth. The listing agent typically is all you get from a real estate company. They are the front-end "pitch" to sign you up, they are the marketing department, the advertising department, the administrative section, the management team, etc. Whatever you pay a real estate company as a home seller, all you are going to get for your money will come from that listing agent. Because most real estate agents get the majority of the commission paid on the deal (70% to 80%), so in effect, they are a company in themselves. With the bulk of the earnings going directly to the agent, the real estate company is not in a position to assist them much further than providing office space, a brand, and coffee during office hours. If they are part of a true team based home selling process, they might have (some) staff that will help them prepare and market your home for sale. They might offer some group advertising or marketing assistance, but you still will be heavily reliant on your listing agent. Regardless of whether you hire an individual or a team, from what I have seen, all they basically do is put a sign in your yard, enter your property as a listing in the MLS, run a few ads, and then they pray that somebody brings you an offer. So if that is all anybody does, you can certainly bet a reduced fee makes sense. Do you really need to pay tens of thousands of dollars for that amount of work? But if some listing agents are charging "full price," while others are cutting their fee, aren't you curious about what is getting cut? Certainly you don't expect to get the same benefit of a full priced listing agent from a discount one, do you? If you have done your homework and you are looking for the listing agent that will get you top dollar for your home, while selling it in the time frame that fits your goals, then you likely wonder what's the difference between discount versus full price in real estate brokerage. 1. Agent profitability (what they actually take home) -Quite frankly, this one is reason enough not to hire a discount broker. If they are willing to cut their fees with just one meeting with you, how quickly will they throw you under the bus during a negotiation. There comes a time in every transaction when a home seller has to ask for help from the listing agent. Usually, an offer has come in, and the homeowner asks "what do you think?" Now, consider this for a second ... who do you want answering that question? An agent caved-in and cut their own earnings, or somebody who understands his value and who is able to negotiate his compensation to a fair level of profitability? 2. Cooperating broker compensation (how much money they offer other agents to procure a buyer for your home) - One of the most important factors in getting top dollar for your home is the number of qualified buyers that are pulled to see and want your home. That means we want to encourage other agents to sell your home, not chase them away by being the lowest compensation among all homes for sale. Think about it, do you want to save 1/2 percent but then lost 5 to 10 percent because there is only one buyer who wants your home? Ask each agent how many homes they "double side" (they list the home and work with the buyer too). The higher the percentage of transactions they double-side, the weaker their demonstrated ability to attract multiple buyers. It is competition that drives up prices, make sure the agent you work with knows how to generate traffic from everybody. Demand they offer a full fee to cooperating agents so that you'll get the best traffic results. 3. Marketing expenses - 95% of buyers are on the internet, but they are not all surfing in one location. It takes money to fuel this online marketing, and the last thing you want to do is cut your marketing when you need to sell your home. 4. Support Staff - We work as a team at my office. All 20+ of us. Our slogan is "why hire an agent when you can hire an entire real estate company?" But discount brokers do not have the support that we have, and that is why they cannot market your home for sale on the internet, every single day. Sure, they can put it on 500 websites and the MLS, but obviously that just doesn't work. 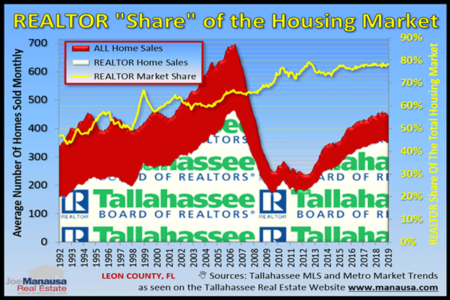 Over the past 365 days, 42% of homes listed for sale in the Tallahassee MLS failed to sell ... it takes more than that. The "set it and forget it" marketing plan rarely produces top dollar in minimal time. 5. Daily marketing requirements - Our staff is constantly re-introducing our properties to the market ... every day. We spend more than 10 man-hours per day in our marketing ... so how could a single discount broker match this? How can they meet with sellers, meet with buyers, measure houses, negotiate contracts, attend closings, attend inspections, advise on costs, renegotiate after inspections, and still have enough time left in the day to market for ten hours? Cost is the amount of money you will spend on your listing agent. Value is the amount of money you will receive or save by having an expert working for you that you can trust to help you get top dollar for your home. WANT TO KNOW MORE ABOUT SHORT SELLING? 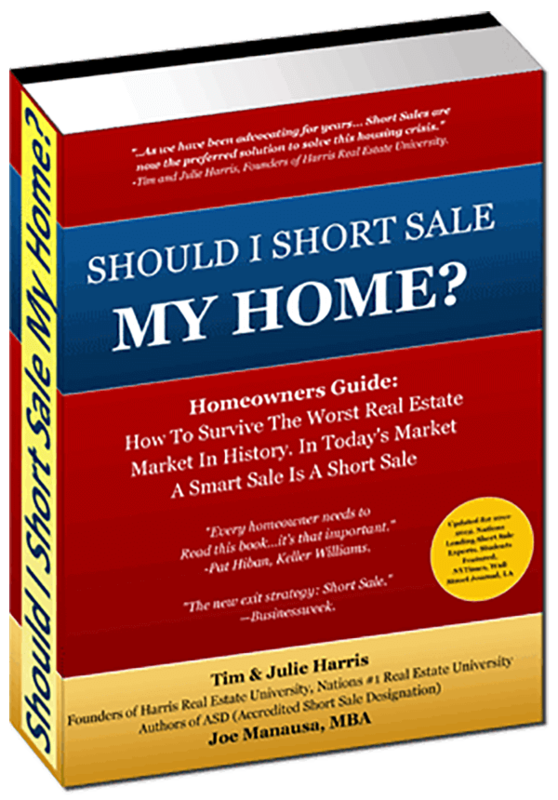 FREE 86 PAGE E-BOOK “SHOULD I SHORT SALE MY HOME” COMPLETELY EXPLAINS SHORT SELLING! This is an 86 page e-book which has been a godsend to thousands of people since 2011. How to survive a horrible home-ownership situation by understanding all of your options when you need to make a move. For some people in today’s market, a smart sale is a short sale. Find out if a short sale is right for you. Don't be penny-wise and pound-foolish, hire the best and then demand the best. Take the time to interview until you know you are working with somebody who can guide you to where you want to be. 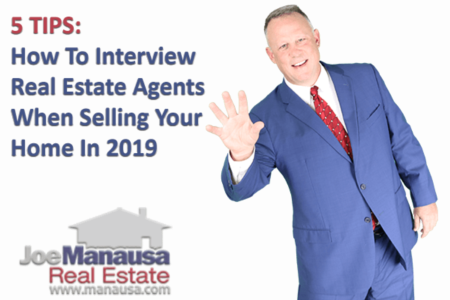 Remember, you will have to be able to trust this agent to know exactly what to do during a negotiation, so make sure the agent is strong and knowledgeable. If you are planning on making a move sometime soon, drop me a note and we will take the time to ensure that you understand how to get top dollar for your home, within your time constraints.